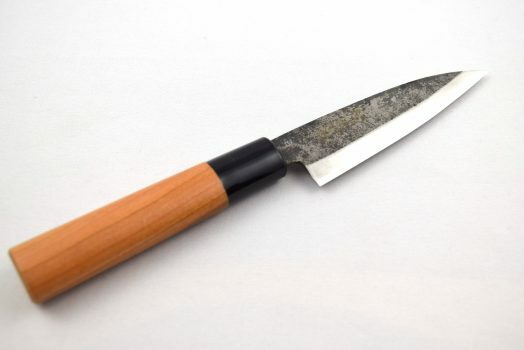 Yoshida Hamono Aogami Kurochi Paring Knife knife with a 105mm blade. 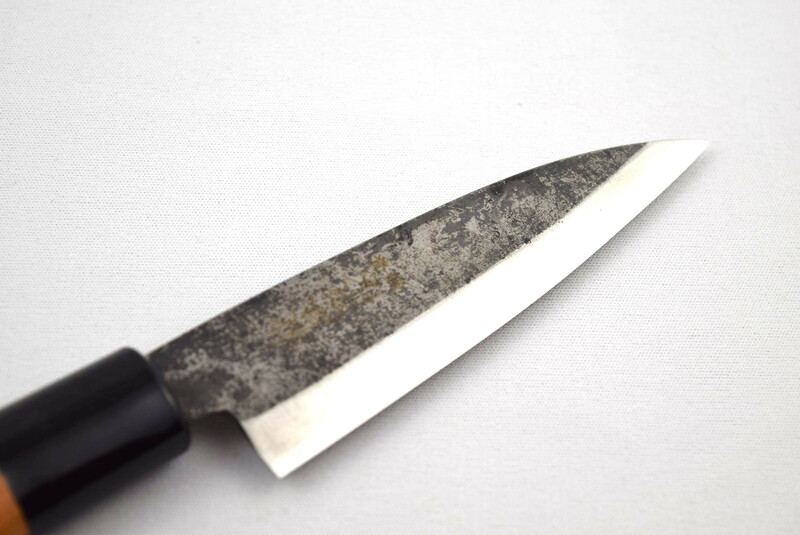 Aogami (blue paper steel) is a traditional carbon steel widely used in Japanese knives. The steel has a hardness of 61-62hrc and is not stainless. 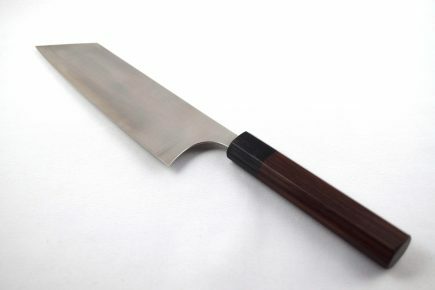 Aogami keeps a great edge and is not too difficult to sharpen. 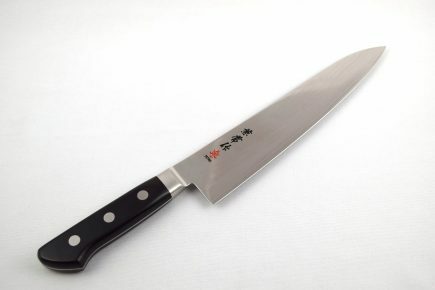 Yoshida Hamono in the Saga prefecture in Kyushu is a family business with a long tradition in forging steel products. 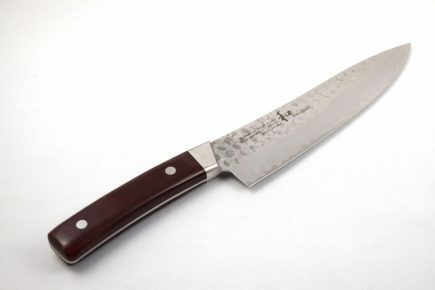 The knives out of this Aogami range present a great value and are ideal for people trying to use hand forged carbon steel knives without spending too much money. 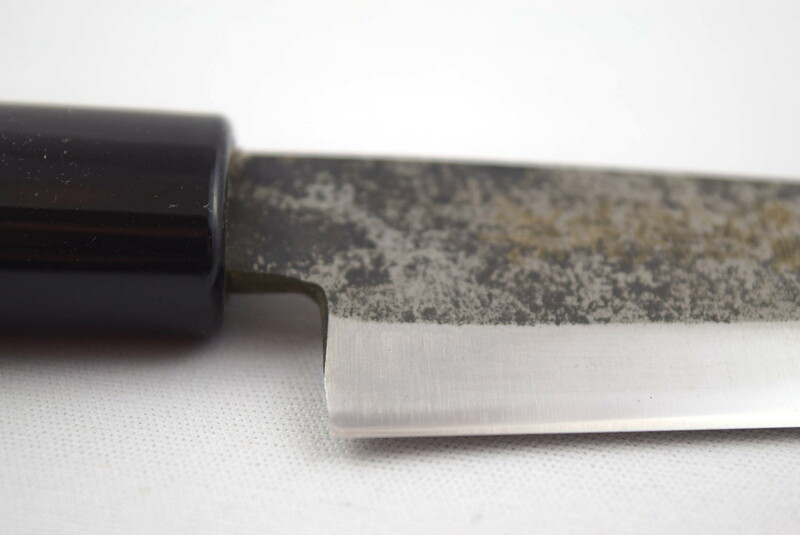 The kurochi finish helps to protect the blade and gives a nice rustic touch. The knife comes with a nice oval shape cherry wood handle.